Warning: Get 2 of your favorite beverages first. You’re going to be here for a while today, but I promise it’s worth it. How would you react to the following U.S. news headline: 100 U.S. Chartered Jetliners Crash, 26,500 children killed? And what if that headline was repeated the very next day and the next and the next? I think our media would drop everything and cover the story and the FAA would probably shut down all of our airports until the cause and the solutions were found and implemented. We’d all be scared to travel by air and re-work air travel plans. We’d donate to aid organizations with overwhelming amounts of money. And yet this is happening…day after day…after day. That’s how many children died yesterday from completely preventable causes related to poverty. And yet the U.S. news media refuses to talk about it. Even our churches often don’t talk about it.How do I all of know this? Because of Richard Stearns. Richard Stearns has written a book called, The Hole in our Gospel, that has permanently changed my life. Stearns was the CEO for Lenox China. I say, “was” because he is now working as the President of World Vision International. When he was approached to be President by World Vision International, he was, to say the least, reluctant. Even being a Christian didn’t help his resolve. 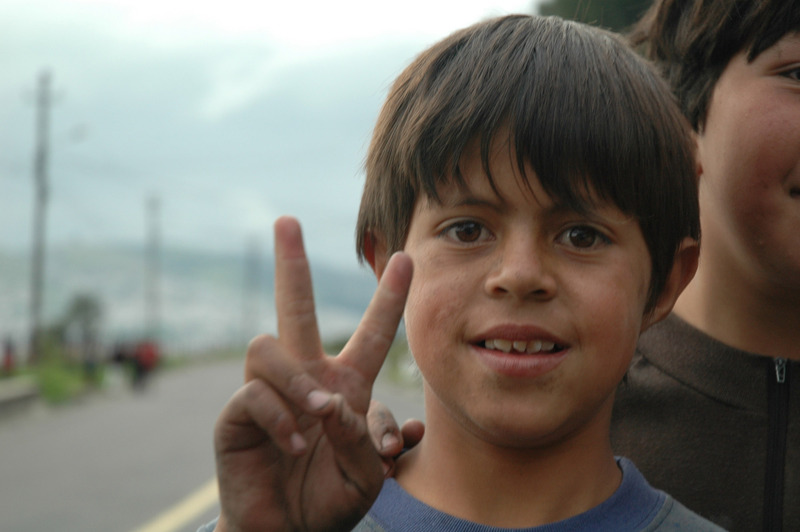 He liked his life in a luxury industry and didn’t feel he had much to offer World Vision. Becoming President of World Vision meant taking a 90% pay cut and moving his family. But, he did it because God wouldn’t let him not do it. Stearns‘ main point is that we tend to ignore, through our media and through our busy lives, the needs of those in the world around us. And this is not Biblical. In fact if we went through our Bibles, page by page, and literally cut out every reference to helping the needy and working for justice in our world, we’d literally have a Bible in tatters. It’s replete with such references. So, what do we tend to focus on? I don’t know about you, but I tend to focus on the passages that help me have a better life, at least one with some peace in it. 1. Over 914,000,000 people do not have enough to eat. 2. Over 1,000,000,000 people do not have clean drinking water somewhere near where they live. 3. Over 1,000,000,000 do not have even basic health care. That probably means they don’t have a Band-Aid for when they cut their finger. 4. Every 5 seconds a child under 5 dies from a hunger-related issue. I have four children (3 biological, 1 in-law) if the next four to die were all mine, my children would all be dead within 20 seconds with this statistic. I wouldn’t have time to even react to the first death in that amount of time. 5. 800 million go hungry every day (That’s more than 2 times the U.S. population.). 6. American Christians make up 5% of the total Christian world population. The U.S. only contains 4.5% of the world population. 7. Yet, we control half the world’s wealth. 8. That 1/2 of the world’s wealth amounts to about 5.2 trillion U.S. dollars. Even now. 9. That figure in # 1 or # 2 could be eradicated if Americans just gave 1% of their income to causes that try to address world hunger and provide safe drinking water. For me, even with my paltry graduate assistant job, that would have been 30 cents per day. I spend more than that on my soft drinks each day. 10. Over 70 children in my little town do not have enough food to eat on the weekends. Their nutrition primarily comes from school-provided food when school is in session. That’s a maximum of 2 meals a day for 5 days a week during the school year only. And let’s be honest, school lunches only provide minimum nutrition. Does it really matter whether a hungry person’s government leader is a dictator? Does it really matter whether or not that hungry person knows my God or even hates Christians? Does it really matter if that person made a lot of bad choices? I don’t think so. My God loves everyone. Even the U.S. says that all are equal. I know, at my house, 1% is do-able, even now. Let’s be honest. Even if there were an all-out media blitz on this crisis, we would be really fortunate if half the households in America tried to give 1%. But, even if I double or triple that amount to cover those who won’t contribute, we’re still talking a maximum of 3% of my income. I think I can live on 97%! And yet those of us who call ourselves Christians and are supposed to tithe 10% of our income only tithe 2.58%. And only 2% of that actually reaches impoverished people. And those who do not believe in God actually contribute more than that. Yes, that’s right. I think, when we see these HUGE numbers, we think there is no way we can eliminate world hunger. So, since we can’t help EVERYONE, we’re not going to help ANYONE? Just because we don’t know them? My family and friends are better than that. My country is better than that. I hope 1/2 the world is better than that. 1. Send that change to your local church. Our church is supporting the Backpack Buddies ministry to provide food on the weekends to those 70+ children I just mentioned. I’ll bet that as the word spreads, we’ll find more children who need this kind of help. If you live in the area, our church would love to have your church involved, too. Through our denomination we also support hunger and safe water causes around the world. 2. Send that change to World Vision International–Mr. Stearns’ organization. They’ve been doing this right for decades and have a multitude of ways to help you put that pocket change to the best use. In fact, under his leadership, they have lowered their administration costs and increased aid to over 100 countries. 3. Start a birthday campaign at Charitywater.org–If you read yesterday’s post, you know I love this idea of creating your own web page on their site and starting a fund to build safe water wells in various parts of the world. You will be amazed at how a few bucks can quickly supply a whole family with clean water. They will even track where your fund’s money went and report it to you. And did you really need another birthday present? 4. While at the store buying your groceries, throw an extra can of soup or green beans in the cart. Then, take said can to the local food pantry or church. 5. Can’t afford even 1%? Then, how about 2 cents? How about giving 2 cents a day for 365 days? If everyone in the U.S. (right now) sent in two pennies a day to help take care of others, we would raise $ 2,303,640,487 at the end of the year. And guess what? We didn’t have to raise taxes or cut government spending to do that. And we didn’t have to wait for any politicians to vote on anything. Because children are dying while they are making up their minds and we don’t have time for that nonsense. 6. Fund a micro-loan. World Vision now has a way for all of us to fund small business loans to people in 3rd world countries for as little as $ 25. By funding these loans, impoverished people create small businesses that usually lead to increased health and prosperity for everyone in that person’s or persons’ community. One couple took a $ 300 loan and turned it, in time, into 11 businesses that greatly improved the wealth of their whole community. Talk about eradicating poverty for good! 7. Are you on Facebook? Are you on Twitter? 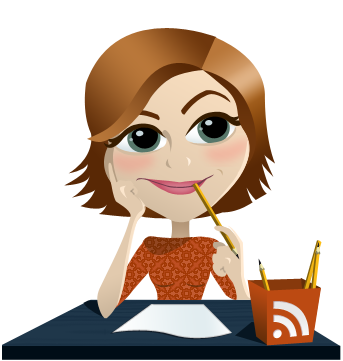 Do you blog? Then, tell your friends about the need for help for these people and tell them what you are doing or intend to do. 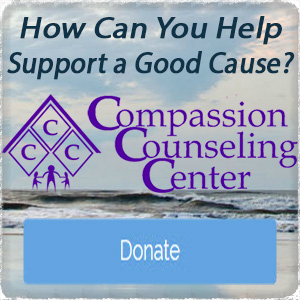 If you like the idea of 2 cents a day, how about saying, “I put in my 2 cents worth. Have you?” We know how social media can spread good works! What if it spread across the world and even half of us did this? That would mean over $ 25 billion for aid to people who truly need a miracle. 8. Buy Stearns’ book and read it. I promise it will change how you perceive your world, if nothing else. After reading this book, I am no longer complaining about the cracks in my ceiling, the chipping paint, and the appliance that won’t work. I also no longer have any desire to own a diamond tennis bracelet or a pearl necklace. The fake one I have will do just fine. And I’m going to stop whining about people dinging my car with their cars at the Walmart parking lot. If you click on the highlighted words above, they will take you directly to links where you can get started doing these things right now! Why? Because children are dying while you’re reading this…that’s why. So, today do your best to become holy by becoming holey and make the hole the one in your pocket or wallet where your change used to be….not in your Bible. Go make me proud to know you. Because I am. And Mr. Stearns? Thanks for leaving Lenox. This entry was posted on Thursday, March 28th, 2013 at 6:55 am and is filed under God stuff, Slow Reader Friday. You can follow any responses to this entry through the RSS 2.0 feed.